SOCCEROOS mainstay James Troisi believes the Aussies' experiences at major tournaments have made them a better side than the one which failed to secure a point in Brazil four years ago. 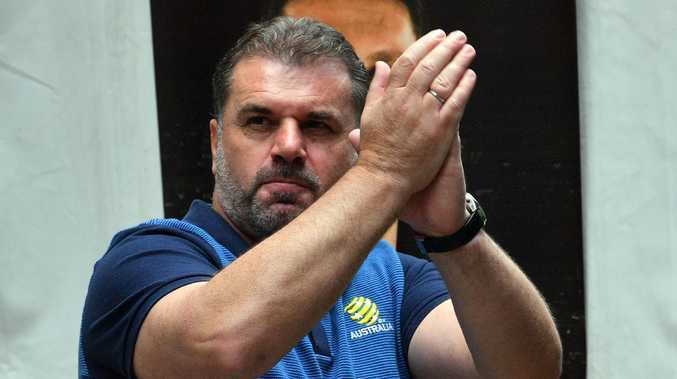 Former coach Ange Postecoglou led the side to Asian Cup glory in 2015, in which Troisi scored the tournament-winning goal, before steering the side in a Confederations Cup campaign last year. And while many are tipping the Socceroos to struggle in Russia, the midfielder believes their big competition experience has them well set up for a better performance in Russia under Bert van Marwijk. "We've all been in this situation and we've experienced been through so much as a group and as a team so we've got some experienced players now and everyone's sort of been in that situation whether its World Cup, Asian Cup, Confeds Cup," Troisi said. "We've been at these high quality and pressure tournaments and situations so we'll definitely want to take that into what's going to be a fantastic World Cup." 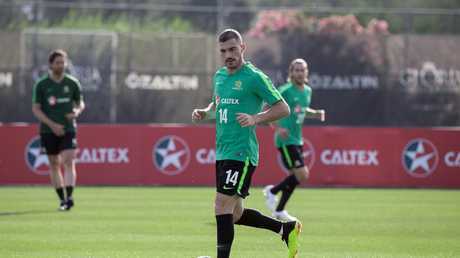 The Socceroos have gone into camp in Antalya, Turkey ahead of the World Cup and the midfielder says the side's goal is to continue making an impression internationally. "We definitely want to just keep implanting our impression in the world. We did that in Brazil and we want to do that in Russia and we've been in these tournaments and situations now, we've taken small steps. "Obviously we're playing against some of the best players in the world, so it's not easy it's difficult but every time we play these games and are in these competitions we want to try and stamp our flag in the world." The 29-year-old believes his championship win with the Melbourne Victory, and consistent football, have led to him being in career best shape. "Me personally, I've ticked the boxes, I've played regularly - close to 40 games this season. So obviously coming off winning the league is massive for me as well," Troisi said. "It's what I guess I was at Victory for, to win something, and I achieved that so I'm very happy with that. "Physically probably the best I've ever felt, so raring to go, obviously it's going to be a pretty tough camp but looking forward to it." A squad of 26 players has been taken to Turkey for the camp, but a further three are still to be cut for the final squad for the World Cup, and Troisi believes every member of the team is pushing each other in their hunt to secure a spot. "That's how football goes. Some boys who have been involved for a long time missed out and there will be another three. Everyone will be fighting for their spot, we've got a good group here though, everyone will push each other, everyone respects each other which is extremely important. "We'll just work to get better as a team, try and get the gaffer's message and do that in the couple friendlies we got and leading into the world cup as well." The Socceroos take on Czech Republic in a friendly on June 1 before the final squad cuts are made.